ERCOT stated its March 5–launched remaining Seasonal Assessment of Resource Adequacy (SARA) for the upcoming spring season (March to May) and its preliminary evaluation for the summer season season (June to September) recommend the impartial system operator (ISO), which manages about 90% of Texas’s electrical load, faces markedly tighter provide eventualities this summer season. The preliminary summer season SARA report (a remaining model is to be launched in May 2019) features a 74,853 MW summer season peak load forecast primarily based on regular summer season peak climate circumstances for 2003–2017. 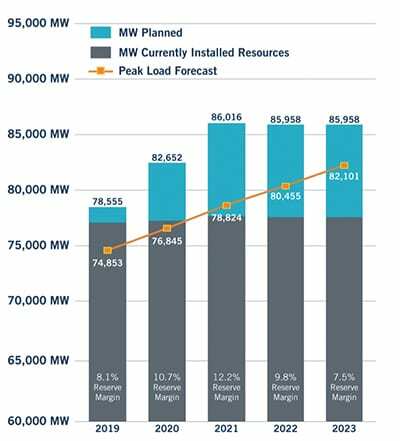 However, the ISO’s complete useful resource capability for the upcoming summer season is anticipated to be 78,154 MW—although solely about 64,952 MW might be from operational baseload thermal and hydropower capability. For the remainder, ERCOT will rely on switchable capability (three,516 MW); capability from non-public use networks (three,437 MW); non-synchronous ties capability contributions (430 MW); and coastal and non-coastal wind, and photo voltaic capability contributions (5,884 MW). According to the preliminary SARA report, ERCOT will even financial institution on deliberate additions of 162 MW of wind and 172 MW of photo voltaic. Since the final remaining SARA, ERCOT has retired two long-idled gasoline items on the 1958-built 280-MW S.R. Bertron energy plant in Harris County. However the grid operator plans to additionally rely on two mothballed gasoline items—a complete 118 MW—on the Spencer station in Denton County for seasonal assets to make sure summer season reliability. Meanwhile, three coal items—two on the 840-MW J.T. 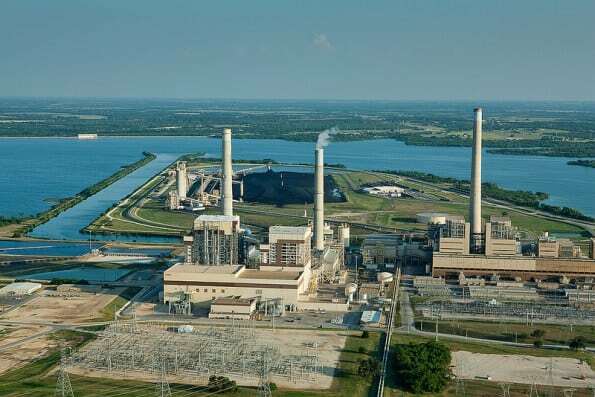 Deely plant in Bexar County, and the 470-MW Gibbons Creek 1 in Grimes County—additionally stay mothballed. While ERCOT has been making ready for tight working reserves owing to a spate of latest plant retirements—together with of main coal baseload turbines—and delays in some deliberate assets, on Tuesday it stated its present planning reserve margin is a traditionally low 7.four%. Meanwhile, it famous, electrical demand within the ERCOT area continues to develop. Since 2016, ERCOT has set 16 new month-to-month peak demand data and new all-time system-wide peak demand data in 2016 and 2018, it stated.